This essay tells the story of both the geopolitical climate in the second half of the 20th century and the field of communication’s structure at the time as them were refracted through the field’s two major global associations, the International Association for Media and Communication Research (IAMCR), founded as International Association for Mass Communication Research in 1957 and renamed in 1996, and the International Communication Association (ICA). It is quite obvious that international scholarly institutions such as associations and conferences “have structured the transnational flows of people and ideas in decisive ways” (Heilbron et al. 2008: 148). In the social sciences, this is especially true since in the post-World War II period new international disciplinary associations were founded under the auspices of the United Nations Educational, Scientific, and Cultural Organization (UNESCO), itself an organization of the post-war era and, besides many other things, the social science arm of the UN system (Lengyel 1986, Mowlana 1997). Therefore, these organizations did not just provide meeting places or stimulate the spread of knowledge but also worked in order to improve dialogue and build peace and bridges between nations (Wells 1987). Among the most important international disciplinary associations set up after the war are the International Political Science Association (IPSA) and the International Sociological Association (ISA), both founded in 1949. With IAMCR’s “constitutive conference” held at UNESCO headquarters in Paris on December 18 and 19, 1957 (Nordenstreng 2008: 231, Wagman 2016), communication and media research was both the latecomer and the dwarf in the social sciences. It took almost 20 years till the first IAMCR meeting with more than 100 participants. In 1973, the association had less than 30 full paying individual members, and the large number of about 250 people who attended the Leipzig conference in 1974 came as a surprise and as a consequence of a large budget provided by the East German communist party (Meyen 2014). At the very same time, IPSA, for example, had world congresses with more than 1,000 participants on both sides of the Iron Curtain (IPSA 2014). As if that were not enough, communication’s UNESCO child took a different path than other post-war period international disciplinary associations. Unlike IPSA or ISA which are dominant in their fields to this very day, the situation in communication and media research is rather confusing. Although IAMCR had been very attractive even for leading US scholars during the first two decades of its existence, and although the association claims to be “the preeminent worldwide professional organization in the field” today (Wasko 2014), ICA rapidly developed into one at least equal competitor since the mid-1970s. To mention but a few current figures, ICA publishes five major academic journals at the moment (Journal of Communication, Human Communication Research, Communication Theory, Journal of Computer-Mediated Communication, and Communication, Culture, & Critique) and IAMCR none at all, at least at association level. Additionally, between 2011 and 2014, ICA had four conferences with more than 2,000 delegates from all over the world in a row (Boston, MA, 2011: 2,507; Phoenix, AZ, 2012: 2,166; London, UK, 2013: more than 2,800; Seattle, WA, 2014: nearly 2,700). IAMCR does not publish any concrete figures but there was only one conference with more than 1,000 participants in the same period (in Dublin, 2013). Durban (2012) did attract barely 500 communication and media researchers and Hyderabad (2014) about 600, most of whom were Indians. This essay argues that the reasons for IAMCR’s fall in parallel with the rise of ICA are threefold. First, IAMCR was more of a European project than a global one at the beginning. Therefore, the association initially concentrated first and foremost on journalism, the training of journalists and mass communication rather than on speech and rhetoric (Nordenstreng 2008: 229). In other words, with interpersonal, group and organizational communication, one of the two major strands of the discipline’s tradition in the US was excluded (Cohen 1994, Rogers 1997). Knowing West Europeans’ defensiveness against North American dominance, on this point soon joined by East Europeans and members representing the Global South, this rather limited focus explains why there was an opportunity for a competing international association born in the USA. Second, closely related to the discipline’s subject, ICA could embark on its triumphal procession to become arguably the world’s leading scholarly communication association since IAMCR was bounded by political fights coming out of the Cold War for quite a long time. On the one hand, the German Democratic Republic (GDR) tried to influence the association from the mid-1960s on in order to use it for diplomatic purposes (Meyen 2014). On the other hand, unlike political science or sociological questions but involving a lot of IAMCR’s leadership, media and communication policy and regulation became object of a heated international debate at the very same time (Hamelink 1980, Carlsson 2005, Mansell/Nordenstreng 2007). This politicization made it even less likely for IAMCR to become the field’s one and only international locus of the “competitive struggle” for scientific authority and to define what the field is all about (Bourdieu 1975: 19). This leads directly on to the third reason for the rise of ICA. Around the globe, after World War II, communication was a new and rather devalued academic discipline. This applies in particular to the USA where both the geography of the field and its roots in more practical skills such as journalism and speech had implications for communication’s position in the larger scientific field (Meyen 2012a). The path to more recognition was mapped along the lines set by the natural sciences at the power pole of the academic field. Quantitative methods promised recognition both in academia and industry and therefore more scientific capital than critical research and the political project IAMCR still is pursuing (Mansell 2007: 283). Additionally, as will become clear, this very unique constellation of conflicts both in the political and scientific arena explains why academics from the Global South had only rather limited impact even within IAMCR for quite a long time. 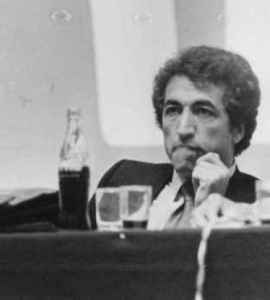 Hamid Mowlana 1978 in Warsaw (source: privat archive of Werner Michaelis). To make this argument comprehensible, as the essay’s title suggests, its major focus is on IAMCR. Section 2 dives into the association’s founding, its relation to UNESCO, its intellectual focus, and its early membership. Taking this a step further, section 3 goes to the one and a half decades when, beginning in the mid-1960s, East-West politics as well as the debate on the need to foster a New World Information and Communication Order (NWICO) shaped IAMCR. At the very same time, as section 4 shows, ICA reorganized itself in order to become “a more substantial association” (McLeod 2012: 1743) and, ultimately, the leading international scholarly organization in communication. In addition to the literature on the field’s history, this essay is based on saved testimonies (Meyen 2012b) and archive material from the GDR capturing IAMCR’s activities from the perspective of a communist party and an East European journalism training center (Meyen 2014). To avoid misunderstandings, one important aspect should be mentioned at the outset. Comparing IAMCR and ICA or different academic factions and using metaphors, such as defeat and success, should not be confused with a kind of beauty competition. First, and in line with Bourdieu’s sociology of science which this essay is based on (Bourdieu 1975), even in academics there are different types of capital, and different markets for these different types of capital. As will be shown, the communication field benefits from its variety of international disciplinary organizations to this very day. Second, there are consolations that come from not winning. Following the idea of “optimal marginality” as developed by McLaughlin (2001), IAMCR is a challenge to mainstream communication research and, therefore, a necessary condition for the success of the field as a whole. Leading IAMCR representatives such as the Finn Kaarle Nordenstreng (born in 1941) or Cees Hamelink from the Netherlands (born in 1940) present the historical narrative of an international association that “was founded on ecumenical soil crossing both East-West and North-South divides” (Nordenstreng 2008: 229). Parts of this narrative are a link to UNESCO and its 1946 proposal to create an “International Institute of the Press and Information, designed to promote the training of journalists and the study of press problems throughout the world” (Hamelink 2008: 2388) and, closely connected to this, UNESCO’s sustained interest in freedom of information, journalism education and scientific research on mass communication which led both to the establishment of the International Press Institute (IPI) in Paris in 1951 and, beginning in 1952, to the continual publication of “Reports and Papers on Mass Communication” (Nordenstreng 2008: 227, Halloran 1979, Hamelink/Nordenstreng 2007). Thus, IAMCR’s existence and current mission can be traced back to “the idealism that had inspired the founding of the United Nations” itself (Nordenstreng 2008: 228) as well as to “the drafting of article 19 (on freedom of information) of the Universal Declaration of Human Rights” (Hamelink 2008: 2388) and to the UNESCO policy to promote international understanding. Furthermore, constructed in this way, the association’s history legitimates both today’s joint IAMCR-UNESCO activities and the “deep awareness of the need to challenge mainstream conceptions of the role of mass media in society” which a good number of its outstanding members claim for themselves (Mansell 2007: 284, Prodnik/Wasko 2014: 17). Of course, this dominant historical narrative is partly true. After the Second World War, starting with the International Union of Anthropological and Ethnographical Sciences in 1948, UNESCO initiated the foundation of a whole range of international disciplinary associations. Like later in IAMCR, organization and structure of these associations reflected the UN system. As a rule, the first members were national associations. There were world congresses every three to five years, a general assembly and an executive board (Heilbron et al. 2008: 150-151). This background explains why UNESCO’s draft project for the establishment of an “International Institute of Press and Information” was sent to “the governments, national commissions of member states, international organizations” and (only found in the last place) “outstanding personalities associated with the press, such as editors, journalists, educators” (UNESCO 1949: 2). However, as this list already implies, the way to an international research association in communication was still so far. Especially in Europe, there were almost no academics specialized in this field or in journalism training in the late 1940s and the early 1950s. In West Germany, to give but one example, National Socialism stopped initial steps towards theorizing and researching communication and media phenomena by forcing promising Jewish scholars into exile (Averbeck 2001). Those German researchers who could carry on in that period were compromised after 1945. The discipline’s re-establishment was the work of trained journalists such as Walter Hagemann (1900-1964) who coined the term Publizistikwissenschaft and re-invented communication and media research from scratch (Wiedemann 2013). 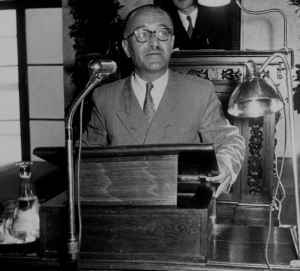 It should therefore come as no surprise that there was only one European professor for press, propaganda, and public opinion among the persons that “were consulted in an individual capacity” by UNESCO in the late 1940s – Kurt Baschwitz (1886-1968), a German Jew who fled to Amsterdam and became director of the “Netherlands Press Institute” in 1948 there (Wieten 2005). Apart from US communication scholars and journalism school administrators such as Carl Ackerman (Columbia University), Ralph Casey (University of Minnesota), Paul Lazarsfeld (Columbia University), Daniel Lerner (Stanford), Raymond B. Nixon (Minnesota), and Wilbur Schramm (University of Illinois), the other almost 80 addressed experts were leading newspaper editors, unionists, publishers, lawyers, and politicians (UNESCO 1949: 2-7). With the foundation of both IPI in 1951 and the International Center for Higher Education in Journalism in Strasbourg, France, in 1956, the majority of these stakeholders was clearly satisfied. According to the dominant historical narrative, “the springboard for IAMCR was a combination of training needs and the growth of research in mass communication” (Nordenstreng 2008: 229). It is certainly right that the inclusion of practitioners was a distinctive feature of the communication field in its formation phase as an academic discipline (Craig 2008, Simonson/Peters 2008). In the case of IAMCR, West European media industry professionals tended to dominate the foundation as well as the work done till the end of the 1960s. This becomes apparent when looking at leadership and meeting places. It was not until 1972 that the very first of the biennial conferences was held outside of Central Europe (in Buenos Aires, Argentina). The 2015 meeting in Montreal, Canada, was IAMCR’s premiere on North American soil. The French Fernand Terrou (1905-1976), the association’s founding president in 1957 who became its Secretary General in 1959, started out as a jurist and public administrator. Terrou’s successor-successor, Jacques Bourquin (president from 1964 to 1972), was executive secretary of the French-language press association in Switzerland. Marcel Stijns (1900-1967) from Belgium, member of IAMCR’s four-men preparatory group formed in Strasbourg in 1956 and later first head of the economic and technical research section, was editor in chief of the journal Het Laatste Nieuws and vice president of the International Federation of Journalists (IFJ), and the German press lawyer Martin Löffler (1905-1987) was not just one of IAMCR’s founding members but also the long-standing head of its legal section. The other two of the association’s four permanent sections established at the General Assembly in Milan in 1959 were historical research and psychological and sociological research (Nordenstreng 2008: 231). 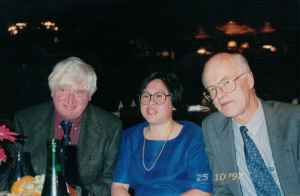 With Terrou and Bourquin, two founders and later presidents of IAMCR “were actively involved in drafting Article 19 during the UN conference on Freedom of Expression and Information” in 1948 (Nordenstreng 2008: 226). However, according to eyewitness Hamid Mowlana (born in 1937) from Iran who served as IAMCR’s president from 1994 to 1998, along with the West European officials, journalists and lawyers, there were three more groups with different backgrounds in the association’s early membership: first of all, US scholars from the Mid-Western universities representing the mainstream of North American mass media research and journalism education; secondly, participants from the socialist world, many of which climbed to leadership positions very quickly (Section 3); and third, a small group of members representing the third world which only played a marginal role in the association for quite a long time (Mowlana 1997). On the last point, the reason is quite easy to understand. In most countries of the Global South, mass media research and journalism education had not yet been developed to such an extent as in Europe or in the US (Ishikawa 1998, Leung et al. 2006, Melo 1976, Musa 2009, Tomaselli/Teer-Tomaselli 2007). Additionally, the participation in conferences and the regular leadership meetings in-between which took place in Europe was simply a question of money, too. However, as Mowlana (1997) really only indicates, the Global South’s position on IAMCR’s edge at the time was not just a function of economic realities. The two heated debates between the Cold War adversaries and opposite academic poles (in Mowlana’s terms “functional sociology and critical sociology, albeit both of them were Western in perspective”) seem to have occupied IAMCR’s attention. In both cases, the situation only changed with the collapse of the Eastern bloc. Now, not just the ideological confrontation between communism and capitalism was essentially over but also the theoretical one. However, even the Iranian Mowlana who became IAMCR’s first president born in the Global South, got his PhD in the USA (in 1963 at Northwestern University). The case of the Americans among IAMCR’s founders is different. Above all, leading US journalism educators showed interest in participating in the association’s activities even before its official establishment. 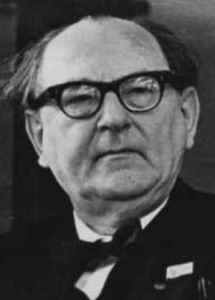 Earl English (1905-2000), from 1951 to 1970 dean of the University of Missouri’s School of Journalism, addressed a letter to the constitutive conference in 1957 inviting IAMCR to hold its next General Assembly in Columbia, Missouri. The 1959 meeting nevertheless was held in Milan, Italy. However, IAMCR got there an American president, Raymond B. Nixon (1903-1997), journalism professor at the University of Minnesota, vice president since 1957 and from 1945 to 1964 editor of Journalism Quarterly (Hamelink/Nordenstreng 2007). The decision to install Nixon was no coincidence. From March 1957 to 1959, with UNESCO’s assistance, he visited 45 countries to study their research facilities in the field of mass communication (Nixon 1960), including “the Soviet Union and all the other socialist countries where any communication research was believed to be under the way” (Nixon 1980). In a testimony, Nixon (1980) mentioned two of his “main goals”: “to widen geographical representation” and “to enroll more communication researchers from other disciplines”. Despite of all his travels and the personal letters he wrote especially to US academics (Nixon 1980), it proved impossible to achieve these goals at the time. The first reason is related to the field position of journalism educators such as Nixon or English. Whether implemented in former journalism schools or speech departments from the mid-1950s on, the new born US graduate programs emphasized quantitative empirical work. Rogers (1994), following Highton (1967) here, described the not just epistemological conflict between the non-scientific “Green-Eyeshades” (“oriented to the profession of journalism rather than to the new science of communication”) and the “Chi-Squares” who survived in the end because their scholarly approach fit with the norms of North American research universities (Meyen 2012b). Perhaps even more important, many West European members considered IAMCR as a kind of AEJ (Association for Education in Journalism) of Europe (in other words: their very own AEJ) and wanted to ensure that American cultural dominance would not penetrate into this association, far beyond the early years (Mowlana 1997). Knowing the hierarchical structure of the social science field as well as the common pattern of the “more or less selective adoption of ideas, methods and procedures” from North America (Heilbron et al. 2008: 148), that is understandable. For IAMCR, however, this situation including a “clear friction between the French and the Americans” had certain consequences. “UNESCO siding with the Americans rather than with the French” (Nordenstreng 2008: 232) more or less withdrew from its communication child in the early 1960s. From the initially planned joined research activities, just some small thematic studies and rather small bibliographical work were realized (Nordenstreng 2008: 231-233). Until the early 1970s, IAMCR remained a family phenomenon rather than a global one organizing biannual meetings with a few dozen participants, mainly from Western Europe. The association not even managed to publish an official journal. Internal communication took place via presidential letters “issued in English and French as mimeographed copies reporting on the organization’s news” (Nordenstreng 2008: 232). The turning point came when both the Eastern European countries, in particular the GDR, and critical communication researchers from the West began to use IAMCR for their purposes. From the association’s very beginnings, representatives from the socialist countries in Eastern Europe were part of its leadership. There, initially Mieczyslaw Kafel (1912-1971) and Vladimir Klimes (1910-1983) stand out. 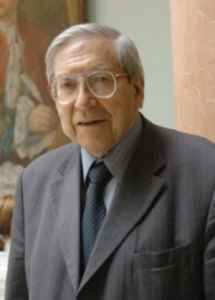 Kafel, Director of the Institute of Journalism at the University of Warsaw, Poland, was already part of the just mentioned four-men preparatory group formed in Strasbourg in 1956. In 1959, he was elected as vice president. At the very same General Assembly at Milan, his colleague Klimes from Prague in Czechoslovakia became member of the Executive Bureau. Five years later, Klimes was promoted to IAMCR’s secretary-general. In addition, there were a few individual members from East Europe such as Evgeniy Kudyakov (1905-1964) from the Faculty of Journalism at Moscow State University and Hermann Budzislawski (1901-1978), dean at Leipzig’s Faculty of Journalism in the GDR. This is noteworthy, since the composition of membership influenced the choice of the early conference venues. In 1963, an invitation to Holland had to be postponed since the country could not extend visas to GDR citizens. So, IAMCR was forced to move to Vienna in 1964, instead (Nixon 1980). Following Herceg Novi, Yugoslavia (1966), Pamplona, Spain, with Franco still in power, replaced Oxford in the UK for the very same reason in 1968 (Nordenstreng 2008: 233). This inclusive climate is the common ground for the GDR’s idea to using IAMCR as a tool in the country’s fight for international recognition. In the Federal Republic of Germany, the Hallstein Doctrine had been in effect since 1955 (Gray 2003). In fact, this doctrine hindered diplomatic relations with the communists in East Berlin since West Germany, an economic superpower, only supported those countries that did not officially recognize the GDR. The gradual and slow softening of the Hallstein Doctrine only started in 1969 when a social democratic-liberal coalition in Bonn’s government took over. Until the admission of both German postwar states to the UN in September 1973, East Berlin had almost no diplomatic relations with the Western world. It is easy to understand why international recognition became the major objective of GDR’s foreign policy from the mid-1960s on. International academic associations such as IAMCR were seen as tools to demonstrate to the world that the GDR was a legitimate and fully competent player in the international arena (Meyen 2014). In essence, within IAMCR, three objectives of the GDR can be distinguished. First, the communists wanted to promote their own Marxist-Leninist concept of academic work on journalism. Second and closely linked to the first aim, the Eastern Europeans wanted colleagues from developing countries in Asia, Africa, and Latin America to be won over by socialist ideas on how to educate journalists. Third, along with professors and doctoral students from the third world, so-called progressive Western academics were also an important target group. Colleagues working with materialist or other classic left theories and ideas were encouraged and helped by Eastern European scholars to present the results of their work to an international audience. These objectives were part of a worldwide struggle for supremacy between socialism and capitalism in which both sides used academic venues to combat each other (Saunders 2013). To meet their targets, the East Europeans used all of IAMCR’s stages and levels from the association’s leadership positions and its venues through the programs and proceedings of the conferences to discussions of talks and the statute. A minimum aim was the essential balance between the two ideological camps. In order to be prepared, the Eastern European representatives held regular internal meetings to formulate and adopt a unified strategy. Before the Buenos Aires conference in 1972, for example, there were two meetings in Leipzig and Krakow, Poland (Meyen 2014: 2081). 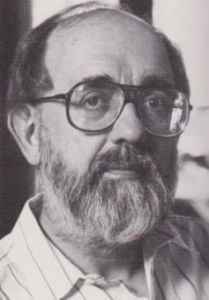 The two central figures of this policy were Yassen Zassursky (born in 1929) who is both a long-time dean at Moscow State University (1965–2007) and a long-time vice president of IAMCR (1968 to 1988) and Emil Dusiska (1914-2002), a leading professor in the journalism training center at Leipzig who became IAMCR’s secretary-general in Buenos Aires and did most of the association’s paperwork from 1972 to 1978. Upon invitation of Dusiska and mainly sponsored by the East German communist party, IAMCR had a conference in Leipzig in 1974 with a record participation of about 250 researchers and two volumes of proceedings. The files in Leipzig’s university archive document how vigorously and viciously the struggle raged over every presentation and proceeding slot. Dusiska just counted numbers. In Warsaw 1978, for example, two of the four working group secretaries and 10 out of 27 talks came from the socialist camp (Dusiska 1978). 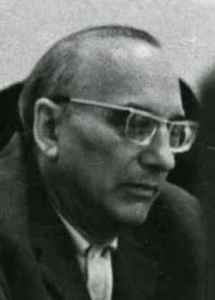 Although at that time GDR’s interest in IAMCR had already passed its peak and although the communist were far from achieving all the objectives set, the strong presence of East European academics was one reason that the association became a stronghold of critical, rather leftist and progressively oriented scholars from Northern America and Western Europe such as Herbert Schiller (USA, 1919-2000), Dallas Smythe (Canada, 1907-1992), Gerhard Maletzke (Germany, 1922-2010), or Nicholas Garnham (UK, born in 1937). 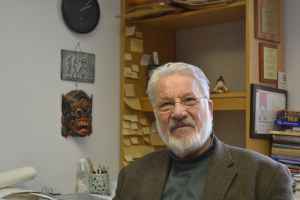 The most important IAMCR officials of this line of research were James D. Halloran (1927-2007) from the University of Leicester who served as a president from 1972 to 1990 and Kaarle Nordenstreng (Tampere, born in 1941), vice president from 1972 to 1988. Both were elected in Buenos Aires. According to the Leipzig files, the representatives from Eastern Europe agreed on the plan to elect Nordenstreng as next president. In the reports of the East German communist party, he is called a progressive professor who would try to position himself as a leading representative of Marxist views on mass media. In Buenos Aires, Emil Dusiska should stand as a secretary-general in order “to prevent an official from a capitalist state in any case.” Whereas the latter objective was reached by unanimity, the presidential one wasn’t. Nordenstreng supported Halloran (Meyen 2014: 2008). The potential candidate himself 40 years later: “To me, Halloran represented my ideal of scholarship. He was progressive and innovative. Politically, he was Labour oriented. I thought he had both the proper credentials and the age to become a president. I was just 31. I couldn’t consider that idea seriously. So I tried to convince Emil Dusiska and his colleagues that Halloran is okay and not somebody to be suspicious of. It was almost part of the Eastern habitus to be suspicious of people in the West.” (Nordenstreng 2013). Hamid Mowlana (1997) has indicated that “IAMCR was used as a vehicle to further the professional development of individuals who had now taken leadership positions in the association, but were otherwise less well known to the international community”. In addition to support from Eastern Europe, there was a second reason for the strong position these scholars could establish and maintain within the association. Beginning at the end of the 1960s, UNESCO renewed its interest in media policy and, therefore, in mass communication research, on the way reacting to the Non-Aligned Movement’s NWICO call launched in the mid-1970s and, finally, leading to Many Voices, One World, the so-called MacBride Report in 1980 (Nordenstreng 1984, Ayish 2005, Padovani/Nordenstreng 2005, Mansell/Nordenstreng 2007, Leye 2009). Just as the money from the GDR, that interest helped to rouse IAMCR from a family affair to an international academic enterprise holding conferences with 500 or 600 participants at the end of the 1970s. First of all, UNESCO involved leading representatives of the association including Halloran, Nordenstreng, Maletzke, and Smythe as consultants. 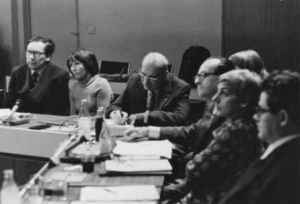 Second, from 1972 in Buenos Aires to 1978 in Warsaw, on the eves of the biannual conferences, there were meetings of ten to twelve experts traveling on behalf of UNESCO. In this manner, IAMCR saved money and, at the same time, increased its program’s appeal. 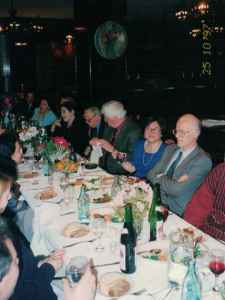 1974 in Leipzig, for example, UNESCO was funding two round tables with US$9,000. That money helped IAMCR to pay the traveling costs of Elisabeth Noelle-Neumann (1916-2010), Nordenstreng, Halloran, and Alfred Opubor (1937-2011) from Michigan State University (Meyen 2014: 2082). Having said this, IAMCR’s achievements should not be forgotten. First, the association helped to kick-start national disciplinary associations. 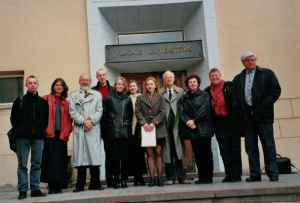 According to Carlsson (2007: 225), the Swedish association was formed on the way home from IAMCR’s conference at Leicester in 1976, and the Norwegian association two years later at the Warsaw conference. Almost 30 years later, to give just an example from the Global South, the South/ern African Communication Association (SACOMM) introduced “IAMCR-style working groups” (Tomaselli/Teer-Tomaselli 2007: 188). 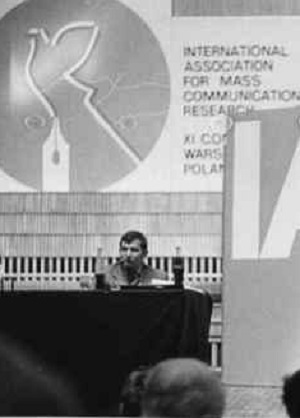 Second, IAMCR provided a forum for emerging hot issues excluded from other major communication associations such as, to give but one example, political economy research from the mid-1970s on (Wasko 2013). Additionally, the association was, closely connected with UNESCO again, responsible for at least two attempts to refocus communication education in the third world – “in the areas of textbook development and curriculum improvement” (Musa 2009: 46), even though, for example, the bibliographic surveys of commonly used textbooks in Africa, the Arab world, Asia, Latin America and the Caribbean ended with the “gloomy conclusion” that “the main problem has not yet been solved” (Nordenstreng and Brown 1998, 88). In other words, the North did still provide the literature on mass media in the mid-1990s. While textbooks used in the Arab world and Latin America were “mostly produced in the region” at the time, “Third World regions with Anglophone or Francophone orientation” were “dominated by literature from Europe and North America, first and foremost the USA” (Nordenstreng/Brown 1998: 79). 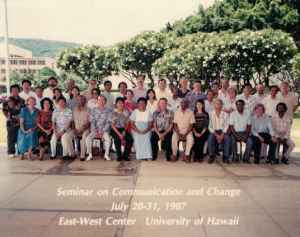 At this time, leading international oriented mass media effects researchers from the US and Western Europe had long abandoned IAMCR. While UNESCO’s communication child was both tied to mainly political fights in the 1970s and 1980s and with conference venues such as Caracas (1980) or Delhi (1986) started “to promote global inclusiveness” first and foremost (Mansell 2007: 283), the very first truly international association in the field was, at least regarding participant numbers and academic visibility, passed by ICA that became arguably the world’s most important scholarly communication association exactly during this period (Weaver 1977, Meyen 2012). This was not at all predictable some 40 years ago. Looking back to the late 1960s and early 1970s, it was not even clear that ICA would play any role at all. Each of the field’s two major US traditions had their own national association. On the one hand, in speech, rhetoric, interpersonal, group and organizational communication, today’s National Communication Association (NCA) was founded in 1914 as National Association of Academic Teachers of Public Speaking and changed its name several times. On the other hand, the Association for Education in Journalism and Mass Communication (AEJMC) goes back to 1912 and the American Association of Teachers of Journalism. ICA is much younger. In 1950, it was formed as National Society for the Study of Communication (NSSC). The founders were scholars who walked out of NCA’s predecessor because they wanted to pursue a broader concept of communication, not just tied to rhetoric and speech. In 1969, with “more than 150 members from 27 foreign nations”, the organization was still rather small but, nevertheless, changed its name to ICA (Weaver 1977: 615). According to eyewitness Klaus Krippendorff (born in 1932), the term “international” in the association’s name “was born out of the recognition that communication is not a national or culture-specific phenomenon” rather than as a starting signal to internationalize the enterprise (Krippendorff 2012: 1704). Krippendorff (2012: 1704) describing the association at the time: “The scholars who gathered at annual conventions knew each other, and the program was printed on one page folded three ways. For me, one of the most interesting conferences was in Phoenix, Arizona, in 1971. ICA rented a motel with rooms around a swimming pool, and there were few parallel sessions. The climate was completely different“. This is not the place to display ICA’s history in detail. At this point it is important to note that, beginning in the early 1970s, the “Michigan State habitus” began to rule the association very quickly. Parts of this habitus were the strong emphasis on quantitative research, including statistical methods and sophisticated data analysis, the notion that communication research is an academic underdog and the feeling that the resultant methodological orientation was superior to any other approaches (Meyen 2012b: 2389). This habitus explains much of why the Global South remains marginal to ICA to this very day. The focus on academic reputation included that ICA, first, got rid of “people from government, people from business, and teachers who didn’t want to do scholarship” at the time (Knapp 2012: 1695) and, secondly, reinvented its flagship journal, the Journal of Communication in 1974 (Meyen 2014: 2084). The journal’s relaunch was mainly driven by its editor George Gerbner (1919-2005), from 1964 to 1989 dean at Penn’s Annenberg School for Communication. Interesting enough, the born Hungarian Gerbner was very involved in IAMCR before. At the Konstanz conference in 1970, he endorsed the idea of an IAMCR journal. That’s why the association founded a publication committee composed of Gerbner, Nordenstreng, Dusiska, and Frans Kempers from the Netherlands who promoted, not surprisingly for insiders at the time, a new cooperation with Gazette in Amsterdam which had already published an official IAMCR information letter from 1962 to 1964. Nevertheless, the publication committee was not successful since the GDR representatives had other plans. Dusiska promised money and any other support from the East German communist authorities and proposed a journal with a powerful editorial board chaired by IAMCR’s secretary-general (i.e. himself). There was a second crucial point that was even more discussed within the association. According to Dusiska’s proposal, the new journal shouldn’t contain any attacks on any UNESCO member country. At the Leipzig conference in 1974, it came to a final showdown. IAMCR’s publication committee rejected Dusiska’s political project with an academic argument summarized by Frans Kempers: “Whoever is to decide on what an attack on a member country is? The sole criterion for publications of articles ought to be their scientific level” (Meyen 2014: 2084). This was how IAMCR managed to miss what was a singular chance to create an internationally prominent publication forum, possibly even under George Gerbner’s chairmanship. In 1973, Leipzig’s Emil Dusiska was asked at least twice to serve as a “consulting and contributing editor” of the Journal of Communication. Gerbner’s reasoning: The field would need a “strong and central publication” integrating academics from all over the world (Meyen 2014: 2084). Instead of IAMCR, Gerbner went with ICA finally. Like a magnifying glass, the controversy arising out of the publication committee reveals IAMCR’s strengths and weaknesses. On the one hand, the association’s politicization blocked academic decisions needed and contributed to ICA’s rise as a competitor on the global level. On the other hand, the field of communication and media research got an international disciplinary association beyond the dominance of ideas, approaches, and theories born in the USA. The GDR representatives in IAMCR have already described this problem in the early 1970. In a report from 1971, they pointed to “the intensified activities of academics from the US, the UK, and West Germany. Financially supported by monopoly capital, the US line of research which is mainly based on sociological methods seems to be gaining the upper hand” (IAMCR’s situation 1971: 3). At least in case of IAMCR, this prediction hasn’t proved to be correct since the association, for the reasons described above, remained in the hands of scholars beyond the field’s mainstream to this very day (Mansell 2007, Hamelink 2008, Prodnik/Wasko 2013). Today’s leadership of IAMCR is well aware of the association’s vulnerable position in the market of global communication associations. 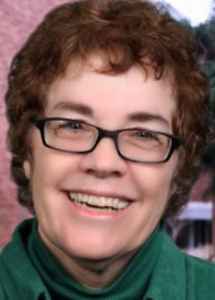 Janet Wasko from the University of Oregon, president from 2012 to 2016 and calling herself a “neo-Marxist” (Prodnik/Wasko 2013, 19), said in a personal interview, that her candidature was based on the desire “to strengthen the organization”. “It really needs to be strengthened. There is a lot of competition from other organizations.” Asked for IAMCR’s Unique Selling Proposition, Wasko answered: “I think you can find more critically oriented people and approaches in it” (Prodnik/Wasko 2013, 17). The Canadian Robin Mansell (born in 1952) from the London School of Economics, IAMCR’s president from 2004 to 2008, took this yet a step further and called for a “critical interdisciplinarity” within IAMCR, “a stance towards research problems that unveils some of the contradictory ways in which media and communication are implicated in social relations today”. Since her “early days”, Mansell would value IAMCR “as an alternative” to ICA “which was then clearly dominated by US-based researchers, mostly working within the dominant or ‘administrative’ tradition at the time” (Mansell 2007: 284). Of course, much has happened since then. Formerly known as a US-based organization that happened to have international members, ICA has really made some steps to deserve the “I” in its name since the beginning of the late 1990s (Meyen 2012a, 2012b, Wiedemann/Meyen 2016). However, just looking at the two candidates standing for ICA’s presidential elections in September 2014, the problem of the association’s strategy to go international quickly becomes obvious. Even if the members had the choice between two Asians this time (Peng Hwa Ang from Singapore and Paul S. N. Lee from Hongkong), both are educated at mainstream Midwestern US research universities (Michigan State University and the University of Michigan at Ann Arbor). IAMCR is different. According to Mansell (2007: 283), “its objectives include strengthening and encouraging the participation of new scholars, women, and those from economically disadvantaged regions, including researchers from African, Asian and South and Central American countries”. This competition between two global oriented disciplinary associations in the field of communication and media research is rooted in history. By contrast with sociology or political science, the field’s organization funded under the auspices of UNESCO didn’t become a mirror just reflecting “the hierarchy of the world-system” for communication research, where “the United States found itself in a dominant position that ensured the hegemony of its theoretical and organizational models” after World War II (Heilbron et al. 2008: 152, 156). Quite the opposite, as demonstrated in this essay, IAMCR took a different path. In addition to the discipline’s age, size and position in the larger scientific field which led to a strong emphasis on quantitative research, including statistical methods and sophisticated data analysis, that became one of communication research’s key identity elements from the late 1950s on (Meyen 2012a), its object of study is an important subsidiary reason for this development. To come straight to the point: In the Cold War years following the foundation of international disciplinary associations by UNESCO, there simply was no international debate involving sociologists or political scientist from all three major global camps of the time. The GDR, for example, didn’t even have sociology or political science at its universities. In the case of journalism education and media policy, right the opposite is true. Mass media effects and the free flow of information were central to the socialist countries in Eastern Europe as well as to the nascent Non-Aligned Movement. Therefore, these two camps challenged Western Europe and North America in the area of international communication associations too. After the match is over, a winner has been decided: the scientific community of communication and media research which has two strong international associations at the moment. Muhammad Ayish: From ‘Many Voices, One World’ to ‘Many worlds, One Voice’. Reflections on Current International Communication Realities in the Age of Globalization. In: Javnost – The Public Vol. 12 (2005), 3, S. 13-30. Stefanie Averbeck: The post-1933 Emigration of Communication Researchers from Germany: The Lost Works of the Weimar Generation. In: European Journal of Communication Vol. 14 (2001), S. 451-475. Pierre Bourdieu: The specificity of the scientific field and the social conditions of the progress of reason. In: Social Science Information Vol. 14 (1975), 6, S. 19-47. Ulla Carlsson: From NWICO to Global Governance of the Information Society. In: Oscar Hemer/Thomas Tufte (Hrsg. ): Media and Global Change. Buenos Aires: Clasco 2005, S. 193-214. Ulla Carlsson: Media and Mass Communication Research: Past, Present and Future. Reflections from a Nordic Horizon. In: Nordicom Review (2007), Jubilee Issue, S. 223-229. Herman Cohen: The History of Speech Communication. The Emergence of a Discipline 1914-1945. Annandale, VA: SCA 1994. Robert T. Craig: Communication as a Field and Discipline. In: Wolfgang Donsbach (Hrsg. ): The International Encyclopaedia of Communication. Malden, MA: Blackwell 2008, S. 675-688. Emil Dusiska: Letter to Klaus Raddatz. Leipzig: Universitätsarchiv. 20. Juni 1978. William G. Gray. 2003. Germany’s Cold War: The Global Campaign to Isolate East Germany. Chapel Hill, NC: University of North Carolina Press. 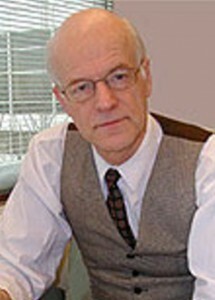 James D. Hallora: International Association for Mass Communication Research. Past, Present and Future. Leicester: Centre for Mass Communication Research 1979. Cees Hamelink: Communication in the Eighties: A Reader on the MacBride Report. Rome: IDOC International 1980. 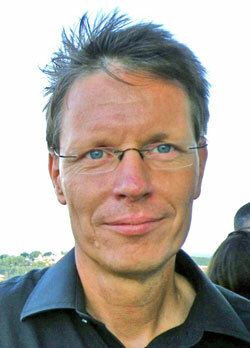 Cees Hamelink: International Association for Media and Communication Research (IAMCR). In: Wolfgang Donsbach (Hrsg. ): The International Encyclopedia of Communication. Malden, MA: Blackwell 2008, S. 2387-2391. Johan Heilbron/Nicolas Guilhot/Laurent Jeanpierre: Toward a Transnational History of the Social Sciences. In: Journal of the History of the Behavioral Sciences Vol. 44 (2008), 2, S. 146-160. Jake Highton: Green Eye-Shades vs. Chi Squares. Quill, February. In: IAMCR’s situation 1971. Internal Report, September 17. Leipzig: Universitätsarchiv 1967. IPSA: History – Becoming International. August 29, 2014. https://www.ipsa.org/print/15. Sakae Ishikawa: Mass Communication Research in Japan. In: Javnost – The Public Vol. 5 (1998), 1, S. 59-69. Mark Knapp: I always taught courses that I invented. In: International Journal of Communication Vol. 6 (2012), Feature, S. 1691-1698. Klaus Krippendorff: I was never a real mass communication person. In: International Journal of Communication Vol. 6 (2012), Feature, S. 1699-1707. Peter Lengyel: International Social Science. The UNESCO experience. New Brunswick, NJ: Transaction 1986. Kennedy W. Leung/James F. Kenny/Paul S. N. Lee: Global Trends in Communication Education and Research. Creskill, NJ: Hampton Press 2006. Veva Leye: UNESCO’s Communication Policies as Discourse. How Change, Human Development and Knowledge Relate to Communication. In: Media, Culture & Society Vol. 31 (2009), 6, S. 939-956. Robin Mansell: The Problem of Internationalizing Media and Communication Research. In: Global Media and Communication Vol. 3 (2007), 3, S. 283-288. Robin Mansell/Kaarle Nordenstreng: Great Media and Communication Debates. WSIS and the MacBride Report. In: Information Technologies and International Development Vol. 3 (2007), 4, S. 15-36. Neil McLaughlin: Optimal Marginality. Innovation and Orthodoxy in Fromm’s Revision of Psychoanalysis. In: The Sociological Quarterly Vol. 42 (2001), 2, S. 271-288. Jack McLeod: Communication is also a Matter of Environmental Influences. In: International Journal of Communication Vol. 6 (2012), Feature, S. 1739-1746. Michael Meyen: The Founding Parents of Communication: 57 Interviews with ICA Fellows. In: International Journal of Communication Vol. 6 (2012a), Feature, S. 1451-1886. Michael Meyen: International Communication Association Fellows: A Collective Biography. In: International Journal of Communication Vol. 6 (2012b), S. 2378-2396. Michael Meyen: IAMCR on the East-West battlefield. A study on GDR’s attempts to use the association for diplomatic purposes. In: International Journal of Communication Vol. 8 (2014), S. 2071-2089. Hamid Mowlana: IAMCR: A Historical Perspective. 1997. http://iamcr.org/history/historia/www.iamcr.org/about-iamcr/history/923-hist-perspective.html (28.08.2014). Mohammed Musa: Looking Backward, Looking Forward: African Media Studies and the Question of Power. In: Journal of African Media Studies Vol. 1 (2009), 1, S. 35-54. Raymond B. Nixon: International Cooperation in Mass Communication Research. In: Audiovisual Communication Review Vol. 8 (1960), 4, S. 224-228. Raymond B. Nixon: President 1959-1964. 1980. http://www.iamcr.org/old/retrospect-list/360-raymond-b-nixon-president-1959-1964 (02.09.2014). Kaarle Nordenstreng: The Mass Media Declaration of UNESCO. Norwood, NJ: Ablex 1984. Kaarle Nordenstreng: Institutional Networking. The Story of the International Association for Media and Communication Research. In: Dave Park/Jefferson Pooley (Hrsg. ): The History of Media and Communication Research: Contested Memories. New York: Peter Lang 2008, S.225-248. Kaarle Nordenstreng: Promoting Democracy and Equality. In: Michael Meyen/Thomas Wiedemann (Hrsg. ): Biografisches Lexikon der Kommunikationswissenschaft. Köln: Herbert von Halem 2013. http://blexkom.halemverlag.de/promoting-democracy-and-equality/ (04.09.2014). Kaarle Nordenstreng/Aggrey Brown: Inventory of Textbooks in Communication Studies Around the World. In: Javnost – The Public Vol. 5 (1998), 1, S. 79-89. Clausia Padovani/Kaarle Nordenstreng: From NWICO to WSIS: another world information and communication order? Introduction. In: Global Media and Communication Vol. 1 (2005), 3, S. 264-272. Jernej A. Prodnik/Janet Wasko: Professor Janet Wasko. An Interview with the President of the IAMCR and one of the Key Representatives of the Political Economy of Communication Approach. In: Triple C Vol. 12 (2014), 1, S. 14-27. Everett M. Rogers: A History of Communication Study. A Biographical Approach. New York: Free Press 1997. Frances S. Saunders: The Cultural Cold War. New York, NY: The New Press 2013. Peter Simonson/John Durham Peters: Communication and Media Studies. History to 1968. In: Wolfgang Donsbach (Hrsg. ): The International Encyclopedia of Communication. Malden, MA: Blackwell 2008, S. 765-771. Peter Simonson/David W. Park: The international history of communication study. New York: Routledge 2016. Keyan Tomaselli/Ruth E. Teer-Tomaselli: Internationalising Media Studies: The Southern African Communication Association. In: International Communication Gazette Vol. 69 (2007), S. 179-191. UNESCO: Draft Project for the Establishment of an International Institute of Press and Information. 1949. Ira Wagman: Locating UNESCO in the Historical Study of Communication. In: Peter Simonson/David W. Park (Hrsg. ): The international history of communication study. New York: Routledge 2016, S. 70-89. Janet Wasko: The IAMCR Political Economy Section. A Retrospective. In: The Political Economy of Communication Vol. 1 (2013), 1. http://polecom.org/index.php/polecom/article/view/11/148 (31.08.2014). Janet Wasko: Welcome to IAMCR. 2014. http://iamcr.org/welcome-to-iamcr (30.08.2014). Carl H. Weaver: A History of the International Communication Association. In: Brent D. Ruben (Hrsg. ): Communication Yearbook I. New Brunswick, NJ: Transaction Books 1997, S. 607-618. Clare Wells: The UN, UNESCO and the Politics of Knowledge. London: Macmillan 1987. Thomas Wiedemann: Walter Hagemann. In: Michael Meyen/Thomas Wiedemann (Hrsg. ): Biografisches Lexikon der Kommunikationswissenschaft. Köln: Herbert von Halem 2013. http://blexkom.halemverlag.de/walter-hagemann/ (09.07.2018). Thomas Wiedemann/Michael Meyen: Internationalization Through Americanization. The Expansion of the International Communication Association’s Leadership to the World. In: International Journal of Communication Vol. 10 (2016), S. 1489-1509. Michael Meyen: A brief history of IAMCR. In: Michael Meyen/Thomas Wiedemann (Hrsg. ): Biografisches Lexikon der Kommunikationswissenschaft. Köln: Herbert von Halem 2018. http://blexkom.halemverlag.de/iamcr-history/ ‎(date of access).